It's low. It moves left. It runs like a rabbit once it lands. And it's Kevin Kisner's secret weapon against a gusting wind. Here's how Kisner hits a low draw with his driver off the tee. How I hit it: Kevin Kisner's bullet draw PRELUDE: I love to hit a draw — it’s my number-one shot on Tour. I pull out the low version of it to keep the ball in the fairway when the wind picks up. It flies a hundred miles per hour and stays under the wind so the breeze can’t affect it. 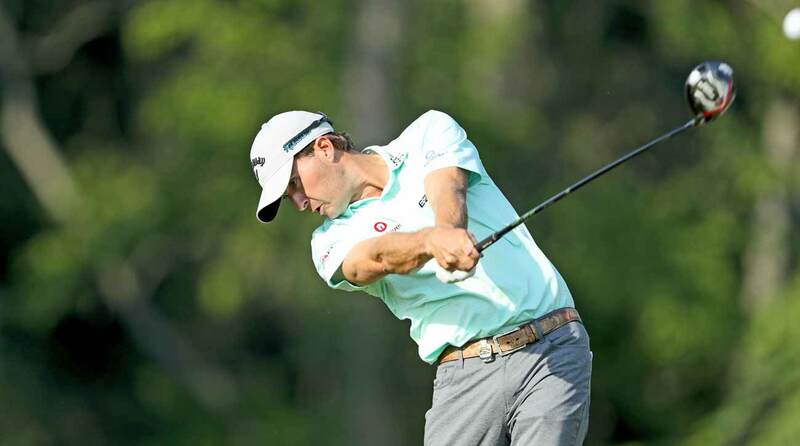 Kevin Kisner loves to turn the ball over. STEP 1: I choke up on the club and move the ball an inch or two back in my stance. I set a majority of my weight over my left leg and keep it there throughout my swing. STEP 2: As I take the club back, my main thought is to feel like my right palm is continuing to face the ground for as long as possible. I like that feeling as I motor through impact, too. I think: “Swing around your body.” Works like magic every time.